Hawaii residents mistakenly received a ballistic missile emergency alert on Saturday. 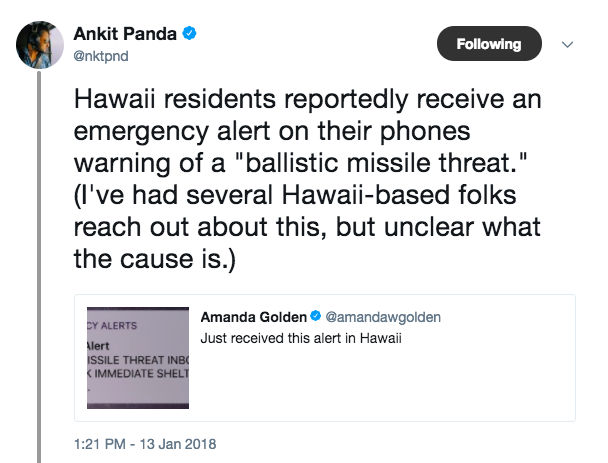 Hawaii residents immediately took to Twitter and posted about the alert. 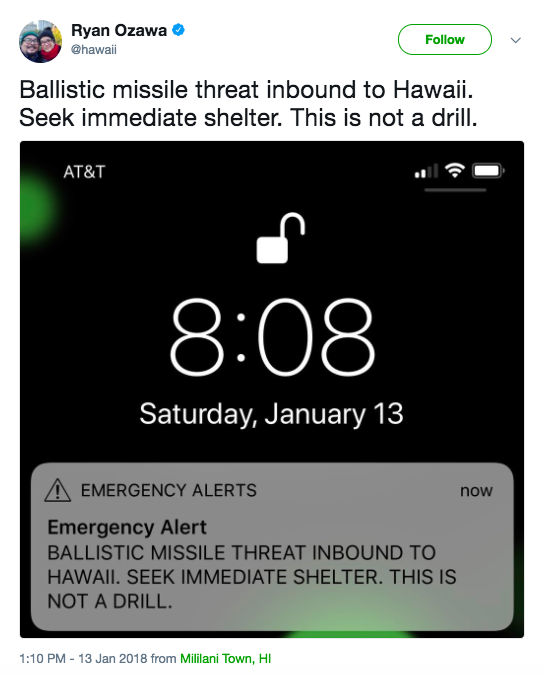 It was not long after that the Honolulu Department of Emergency Management posted on Twitter that the alert was an error. Details about how the alert was sent out in error were not immediately available.